RUSH: Kevin in St. Louis. Great to have you, Kevin. Thank you for calling. CALLER: Thanks for all you do too. 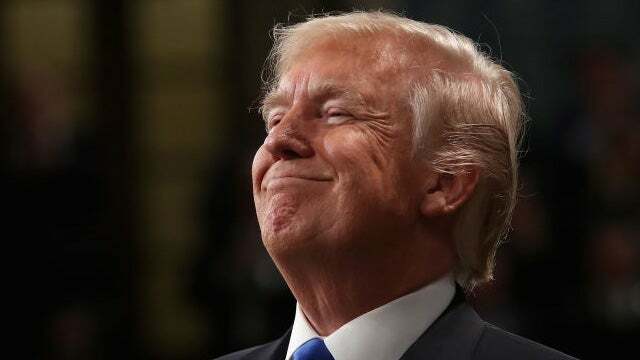 You really are the first person that’s making America great again. CALLER: Donald Trump knew that he was gonna be attacked, and I really think that he’s prepared for this Russia collusion whatnot. I think he knows… You know, he knew it was gonna happen. And I think at the end of the day, they’re not gonna be able to find anything on him and nothing’s gonna happen to him. RUSH: You know, this is actually a good point. I know a lot of people may think that Trump was — at the beginning of this — blindsided by it and may think that he has remained off balance since because of it and may not know quite how to deal with it. But I think you’re exactly right. I think Trump knew from before he was elected that they were pulling these kinds of stunts. 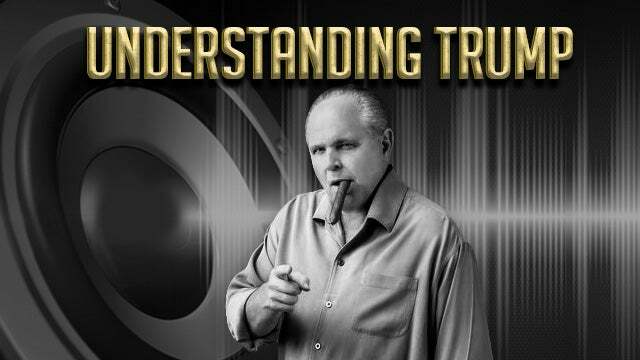 RUSH: And I think shortly after he was elected and the transition… I mean, he knew that they were gonna come after him. He’s not sitting there insulated to the degree that… He knows what the media’s doing. He’s the one that applied “fake news” to ’em. So, yeah, that’s a good point. He knows what they’re doing and therefore you are thinking he’s got to have some kind of a plan to deal with this, at least how to endure it day to day and still say focused on his agenda and job, right? CALLER: Yeah, I do, and I think realistically, too… I think he’s got information on Hillary and the Democrats that he could, you know, pull out if they, you know, try to bring anything on him. So, you know, I really think he’s fully prepared for whatever they’re gonna try to do. RUSH: That really is a good point. The media, I think, probably report all of this stuff during the day with the… They try to convey the assumption that Trump is being blindsided each and every day, that Trump’s off balance and Trump doesn’t know what’s happening and Trump’s befuddled and so forth. Trump, by the way, tweeted… Let’s see. This is this morning, and I’m glad he does this. You know, people complain about his tweets, but he tweeted this. “The new Fake News narrative is that there is CHAOS in the White House. Wrong! “People will always come & go, and I want strong dialogue before making a final decision. I still have some people that I want to change (always seeking perfection). There is no Chaos, only great Energy!” So if it weren’t for Trump, there wouldn’t be any official response to this. Last Thursday and Friday, that’s all the news was. Yesterday it was Nunberg. Thursday and Friday, “Chaos in the White House! Trump out of control, isolated, doesn’t know what’s happening, doesn’t know who’s coming for him,” and I think Kevin here has got it exactly right. It’s the exact opposite that’s true.